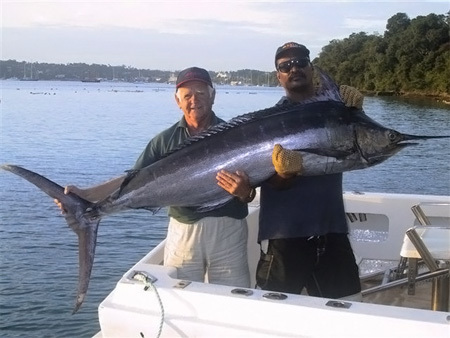 The Kingdom of Tonga has been known for a very long time as one of the world’s finest billfish destinations especially between July and November. If you want to chase trophy winning Marlin, then this is the place for you! 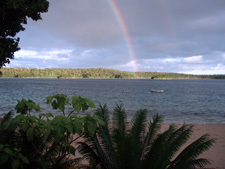 The best gamefishing is off a northern island called Vava’u which is 55 minutes flying time from the capital of Nuku’alofa. We have 4 vessels of varied size which cater to day trips, plus we also have a dedicated Gamefishing lodge located in the outer islands for groups of up to 8 anglers. Vava’u is home to one of the deepest trenches on this side of the world with the drop off being only minutes from your departure point. The season for the 5 species of billfish; including Blue, Black and Striped Marlin, Short Billed Spearfish and Sailfish, is all year round and in addition to this range of award winning fish you also have the ability to bring in pelagic species such as Yellowfin Tuna, Dogtooth Tuna, Mahi Mahi, Wahoo and Giant Trevally. All of our skippers here are IGFA accredited and if you need any further evidence for this fish rich destination, Tonga currently holds the record for the largest Sailfish caught in the world since 1947 coming in at 95.5kg!